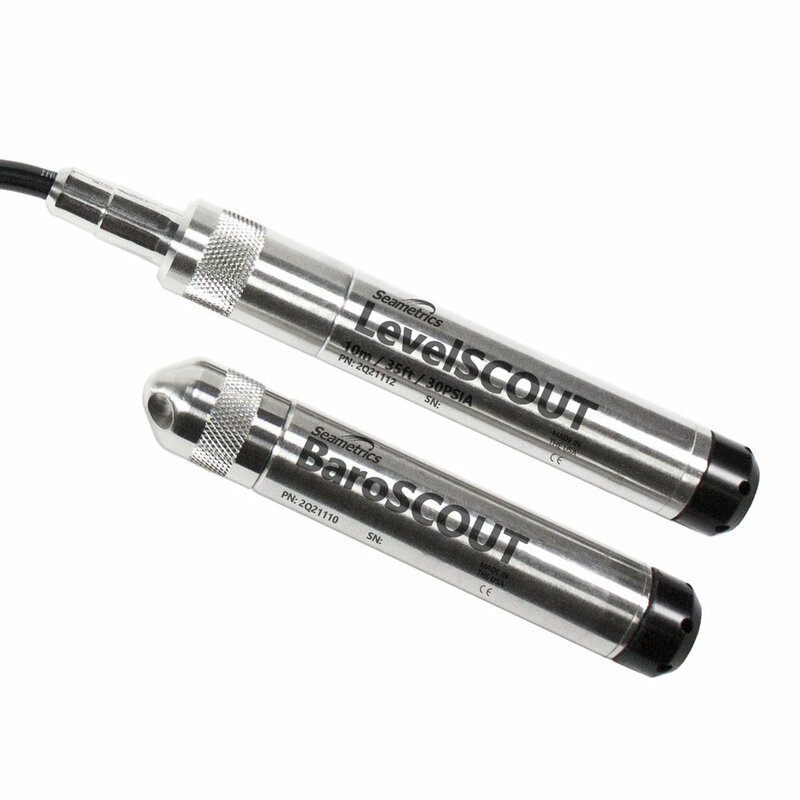 The BaroSCOUT is the ideal companion for your absolute pressure sensors and data loggers. No need for desiccant tubes, bellows or vented cables. Barometric and temperature sensor with integrated datalogging, this sensor is constructed with 316 stainless steel, fluoropolymer, and acetal—providing highly accurate readings in rugged and corrosive field conditions.